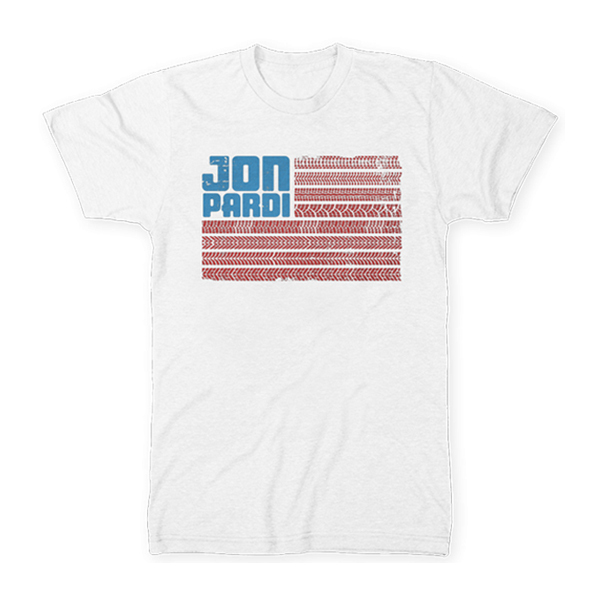 White cotton t-shirt featuring the tire tread flag logo on front. Love the quality of my T-shirt’s as I have 3 ?? they are soft as so comfortable ! 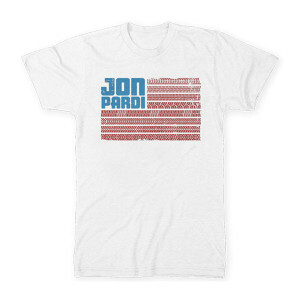 Looking forward to more designs in the future as Jon’s success grows immensely .. enjoyed his show in Shreveport as had the estatic meet and greet with him !